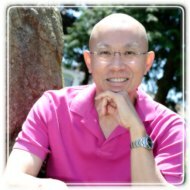 Burnaby Therapist: Benjamin Ho - Therapist V5C 2H6. Individual adults (18 and older); couples and families. Send A Message To Benjamin. Session Fees: Individuals - $140 per hr. (60 minutes); Couples - $160 per hr. (60 minutes). Family - $170 per hr. Longer sessions available. Ben has been for psychotherapist for over 20 years. He brings to this practice a myriad of diverse life experiences and professional skills that ensures the delivery of competent and compassionate professional care. He was trained and practiced in California before returning to Singapore where he continued in private practice. He was also an adjunct lecturer and clinical supervisor to the local and private universities there. As Ben evolves as a professional, he current focus is in the area of traumatic experiences and marital counseling. He is also very much into "Integration Counseling," the "merger" of psychotherapy and theology. He is especially passionate as a Christian counselor.